When buying your first crystal, it’s best to let the crystal choose you. Observe and handle the shop’s selection of crystals, and notice which ones bring a particular feeling to mind. You may also notice a warmth or a feeling of subtle vibration. Once you’ve obtained a crystal that resonates with you, you’ll need to cleanse it (do this in running water) and hold it in your hands to begin imbuing it with your intention. Here are some great crystals that will help get you started on your journey to crystal healing. If you’re not sure where to begin when it comes to picking crystals, clear quartz is a great first choice. It’s thought to be a great magnifier of not only our intentions but also of the vibrations of the other stones around it. Having a piece of clear quartz in your arsenal will only intensify your energy work and allow the intentions of the other crystals in your collection to shine. Clear quartz is one of the most common crystals in the world, and when you hold it up to natural sunlight, it refracts all the colors of the rainbow. This is a good reminder that things that at first seem plain are often full of joyful mysteries. Selenite is another great stone for beginners who want to learn more about crystal healing. Selenite is cloudy white in color, and is thought to be super beneficial in cleansing, and helping to remove negative energy from our crystals and ourselves. All you need to do is hold a piece of selenite at the top of your body, and sweep away negative energy in long strokes, moving from your head to your feet. 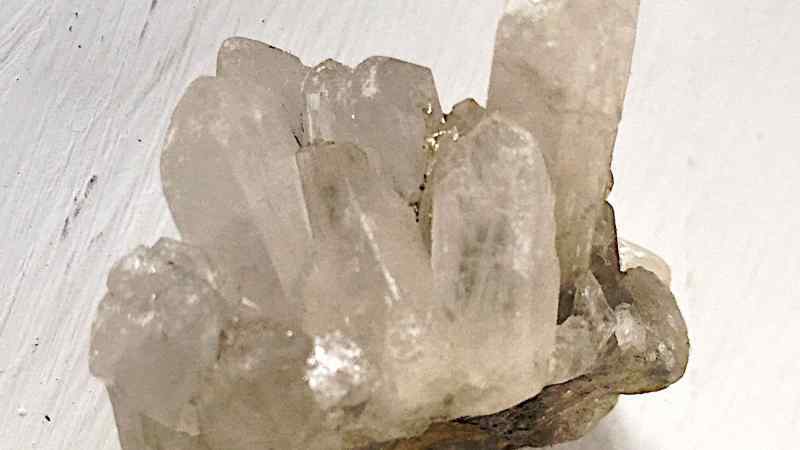 Like clear quartz, selenite is also used to magnify the vibrations of other crystals, which can be helpful for a beginner who isn’t seeing the results they were hoping for. Selenite is also used as a way to limit negative energies from penetrating boundaries, so people often place it near the entranceways and windows of their home. Rose quartz has become one of the most well-known crystals used in healing because of its usefulness in promoting unconditional love. Since roughly 600 BC, rose quartz has been given as a love token. 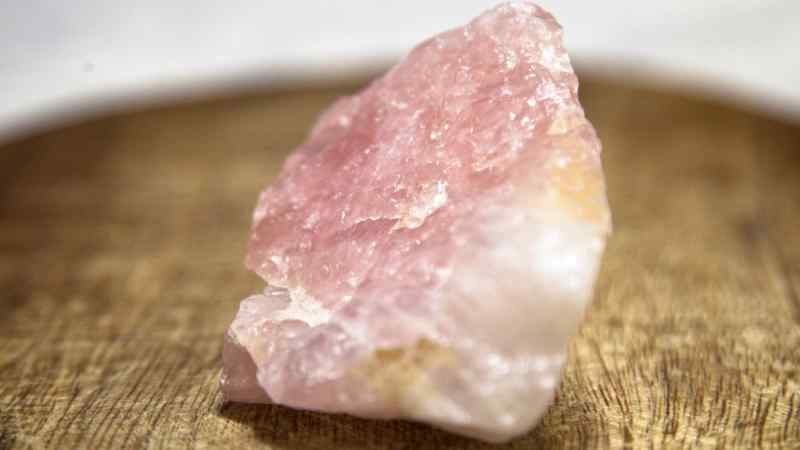 Its gentle pink color inspires delicate thoughts and sweet intentions, but make no mistake — it’s a powerful crystal. It’s thought to stimulate the imagination, as well as promote love and understanding for oneself and others. It can also help foster connections within a community and is often used to encourage clear communication within a group, so that love can flourish. 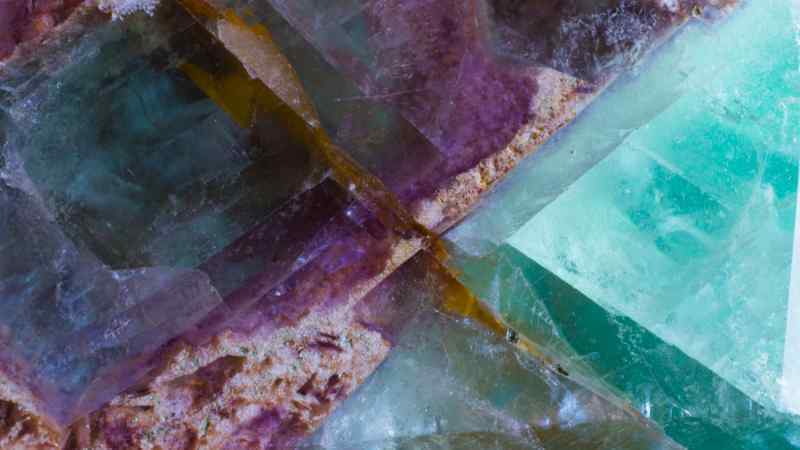 Derived from the Latin word “fluo,” meaning “to flow,” fluorite is a crystal that can have a very different appearance depending on which specimen you choose to take home. 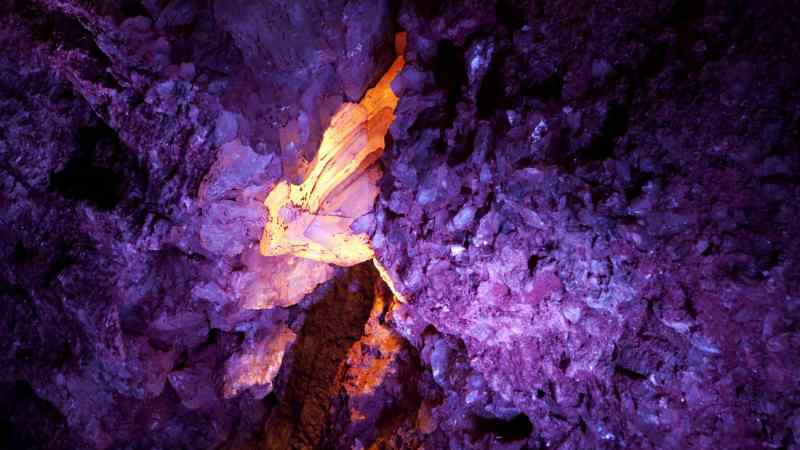 They come in any combination of colors varying from purple to yellow, and often seem to glow from the inside, with a special kind of luminosity that’s not often seen in other types of crystals. Fluorite is thought to be extremely helpful when used for protection against external influences, including forces that may be trying to control you. It can also help clarify a mind that’s foggy and uncertain, and help you feel emotionally and psychically ready for the task at hand. 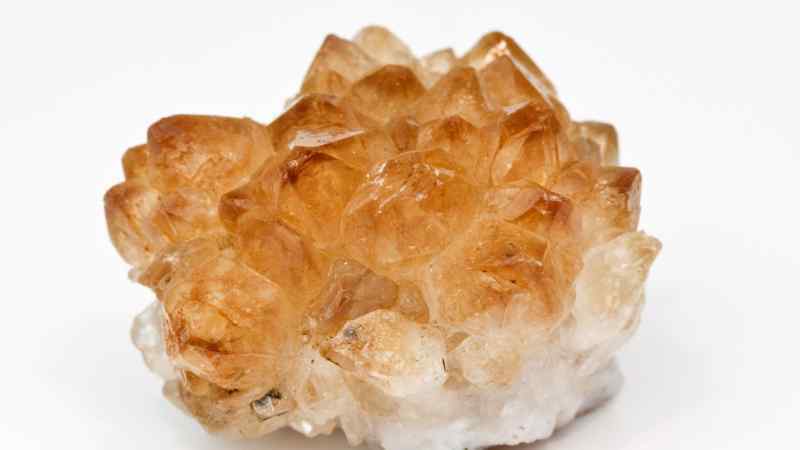 Another type of quartz that’s often used for energy and healing work is citrine, which generally has a pale yellow to dark brown appearance, similar to topaz. Citrine is actually a form of amethyst that’s undergone intense heat. Citrine is considered a spiritual regenerator. It can help cleanse your body and mind when you’ve undergone a traumatic experience, but also goes one step further and encourages you down the road to recovery. Citrine is also thought to be a great crystal to work with when you’re lacking self-esteem and can help boost feelings of resilience and motivation. 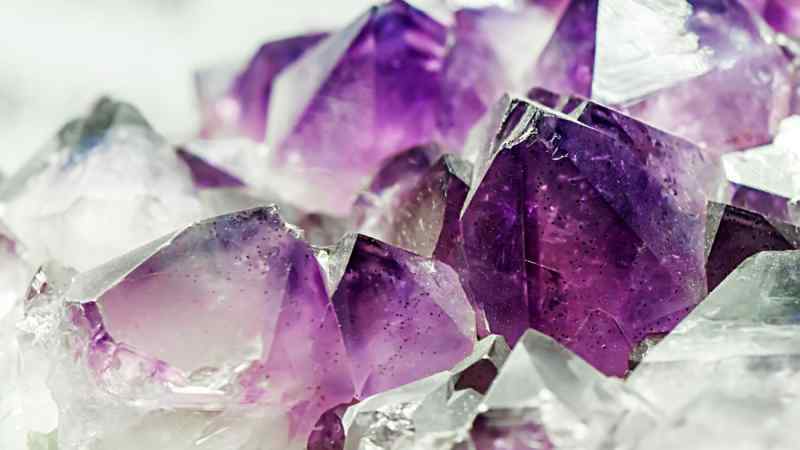 One of the most powerful crystals in a healer’s arsenal is amethyst, a form of quartz that appears purple in color. It’s one of only a few stones in the world that is regularly found with a purple coloration. Amethyst is most prized for its ability to promote balance and regulation. It is thought to enhance intellectual and emotional power and is often carried by people who wish to build on their natural emotional and cerebral intelligence. Amethyst cannot bring you intelligence that you don’t earn, but it is thought to help support the intelligence that we already have and guide us in its use. 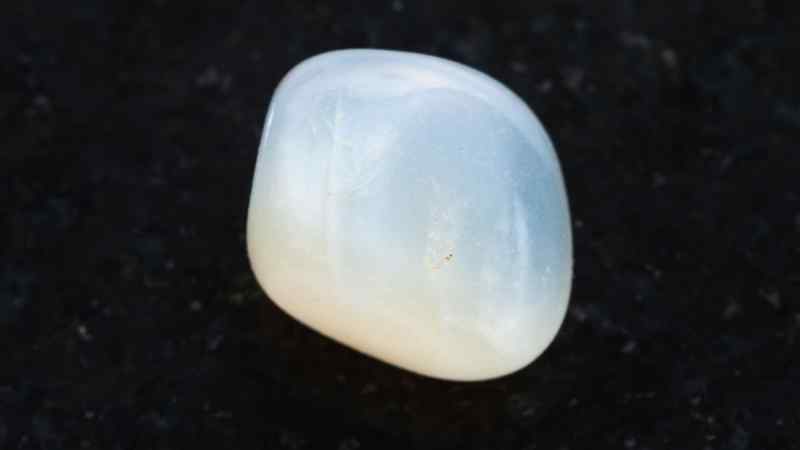 Moonstone is a crystal closely associated with protection. It is often carried by people who hope to harness its protective power during long voyages, or during medical procedures like surgery or childbirth. In addition to helping protect us physically, many people believe that moonstone helps to protect us from emotional stress and can help enhance our sensitivity and intuition. When you first purchase moonstone, it appears cloudy on the inside, like the surface of the moon, but when held up to the light, you may be able to spot blue or pink accents coming through. 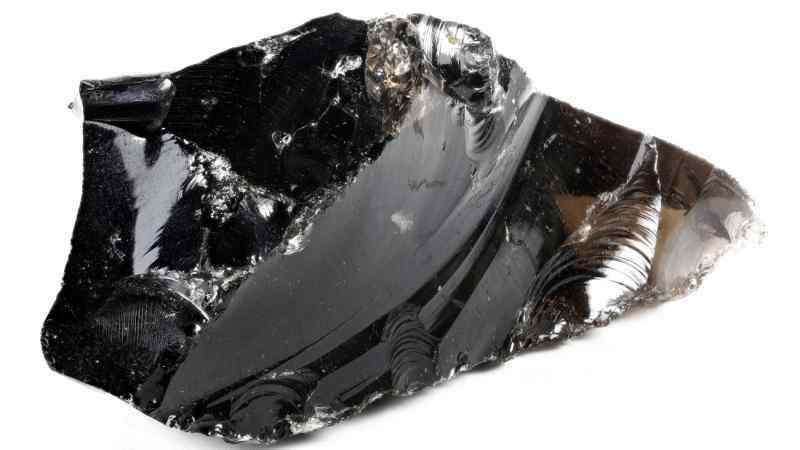 One of the darkest crystals you’ll ever find is hematite. It’s made of iron ore and appears dark grey with a bright silver sheen. It is used for grounding and balancing, since it has such a powerful association with iron, and the Earth. Hematite is also thought to be able to absorb negative emotions and energies and help us to balance any stress our body may be feeling. 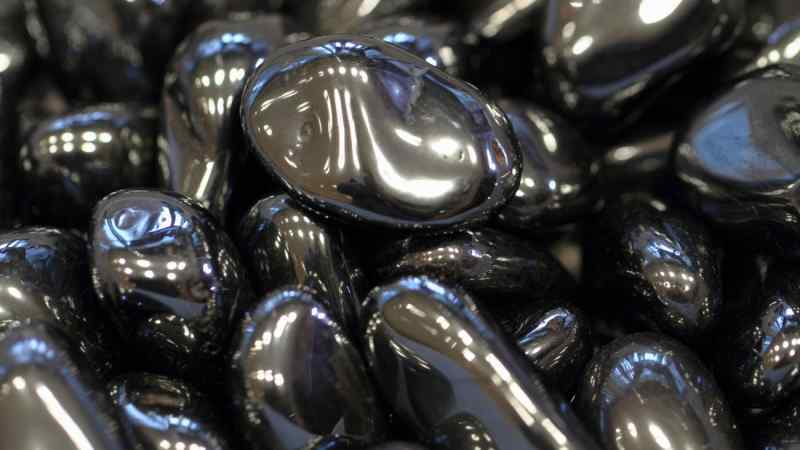 Like any good grounding crystal, hematite also gives us a feeling of energy and vigor, giving us a sense that we are exactly where we are meant to be. Garnet is thought to be one of the most ancient talismans in the world and has been used for centuries by people who reach for it because of its ability to enhance creativity and assist us in harnessing our inner fire. Garnet is named for the Latin word “granatum” — which means “pomegranate” — because of its similarity in color to a pomegranate aril. 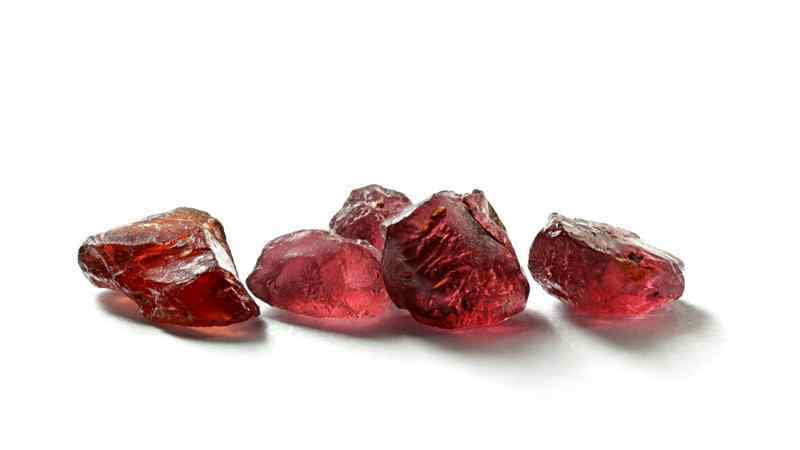 Garnets remind us of fire and help us remember that we all have a fire burning inside us — it just needs to be harnessed. There are many different types of garnet, which are distinguished from each other by color. A gorgeous clear blue stone, aquamarine invokes the purity of water, and all its associated power. Like water, it has properties of cleansing and healing. Plus, it inspires us to let go and let life’s problems just wash over us. 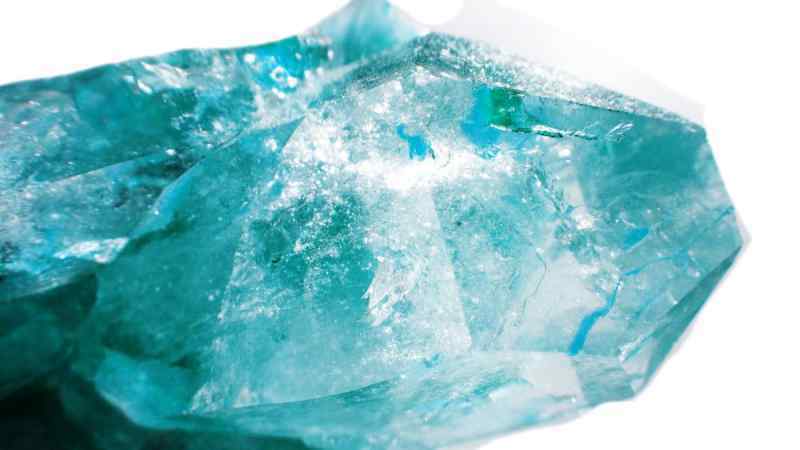 Aquamarine is often used to aid meditation, as its association with water encourages us to look deeper and see things that are beneath the surface. It’s also thought to protect people who journey over the ocean and can be given as a love token to symbolize a love that’s boundless like the sea. Black obsidian is thought to be a mightily potent stone for crystal healing work as it is associated with all four of the elements. It’s born from volcanic eruptions, when cooled lava hits the surface of the Earth. It’s often used to encourage truth and integrity — bringing to mind the image of slashing through lies and deceit like a knife. Polished obsidian has been used in the past as a surface for scrying. 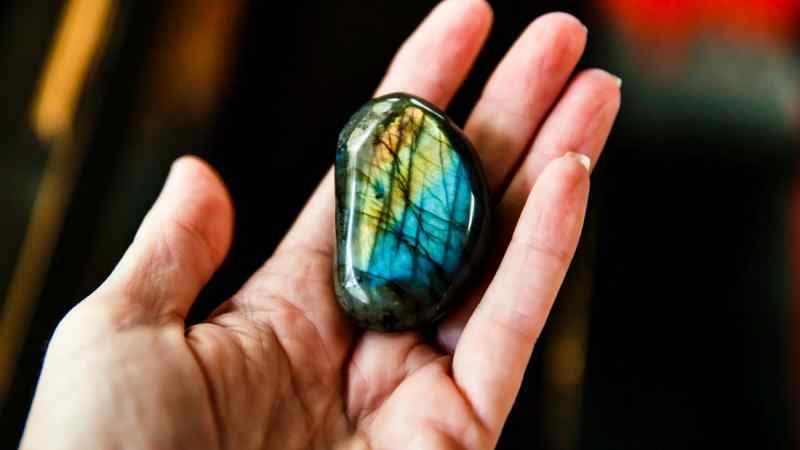 Gorgeous labradorite is a common stone found in jewelry. It initially appears cloudy and colorless like moonstone, but when rotated in the light, all manner of beautiful patterns emerge in colors ranging from dark blue to light green. This phenomenon is called labradorescence. Wearing or carrying labradorite is thought to help enhance our psychic powers, and our ability to communicate with a higher power. The shimmering crystal encourages us to trust in things that we cannot see with our naked eyes and embrace our inner spirit. The average person spends a third of their life counting sheep. That’s a heck of a lot of time spent incapacitated. And though it may seem as if time “tucked-in” is time wasted, the research begs to differ. It’s true! 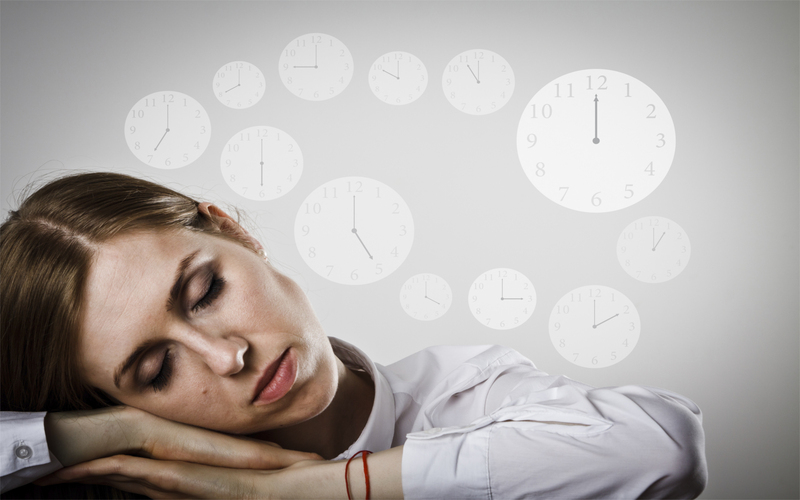 A healthy body and a healthy mind depend on healthy sleeping habits, but you know that already. What you may not know is that your “down in the evening, up in the morning” sleep strategy is but one example.